This timely book offers a mapping of the Internet as it has developed and is used internationally, providing a lively and challenging examination of the Internet and Internet studies. There is much interest among scholars and researchers in understanding the place of the Internet in cultural, social, national, and regional settings. 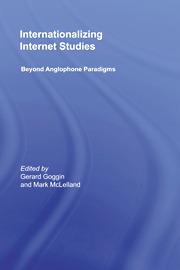 This is the first book-length account that not only provides a range of perspectives on the international Internet, but also explores the implications of such new knowledge and accounts for concepts, methods, and themes in Internet studies. Of special interest will be the book’s fresh and up-to-date coverage of the Internet in perhaps the most dynamic region at present: Asia-Pacific.